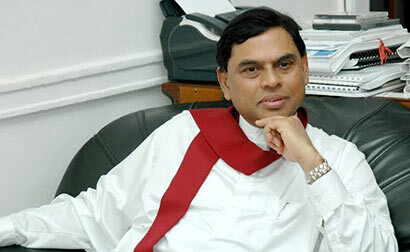 Former minister and UPFA Parliamentarian Basil Rajapaksa was permitted to not attend Parliament for the next three months. Opposition Leader Nimal Siripala de Silva had presented the relevant proposal, which was approved by Parliament. Soon after the conclusion of the last Presidential election, Mr. Rajapaksa left for USA with his family. However, JVP Leader Anura Kumara Dissanayaka who rose to his feet queried whether the MP is requesting leave from the House due to educational matter or because of an illness. Speaker Chamal Rajapaksa who was in Chair approving Dissanyake’s sentiments said that it would be better if MP Rajapaksa or any other member could give reasons when requesting leave. He can apply for any leave and get it approved from the Parliament (except maternity leave) I guess!